Just a quick note on the inventory that made my heart melt today: das Birdhain. Now my troubled mind can rest, as I know where will hyperactive Vögelchen go after party. Maybe for once, they will stop bothering me at unearthly hours of the day (5-6 am?) when I normally try to sleep like an usual, full-time working person. 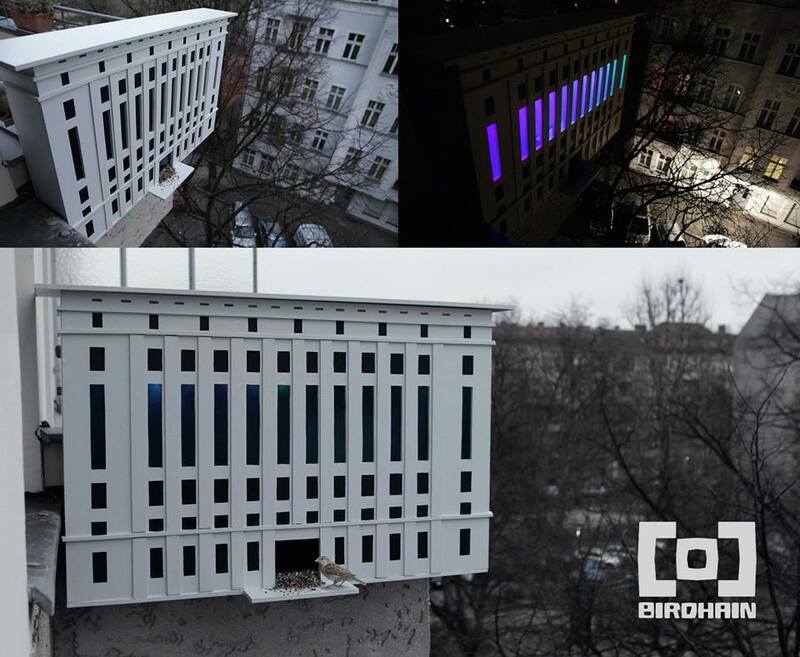 Melte Jansen – the author of the Birdhain, cared so much about the little bros’ comfort that the birdie replica of Berghain has a lot of room to offer, including the darker spots or the main floor with some awesome lightning. Not sure about the menu inside though. It went viral today in Berlin and I am positive that in this utterly caring city, no one should be deprived of socializing- and party spots. Wait, but speaking of which… who will replace the infamous Sven in the birdie’s reality?